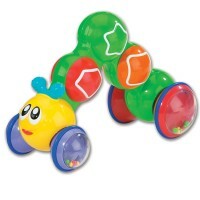 Give your baby a chance to be on the move early with Alex Toys' adorable Learn to Crawl Tunnel. 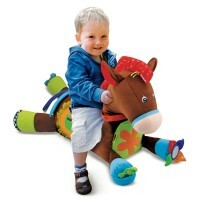 Moving around is so exciting for babies because they explore the wonderful world around them! 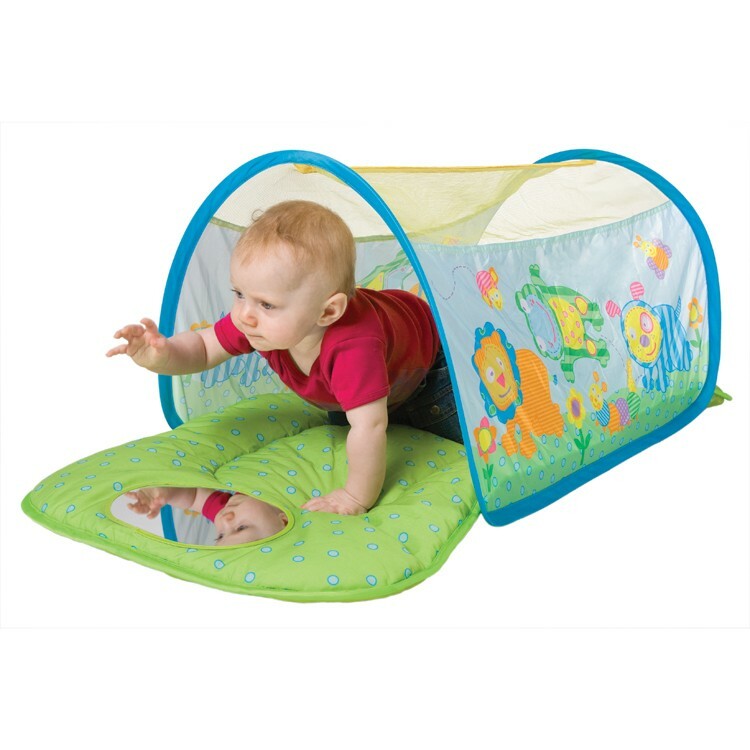 Give your baby a chance to be on the move early with the new adorable Learn to Crawl Tunnel Baby Activity Set by Alex Toys. 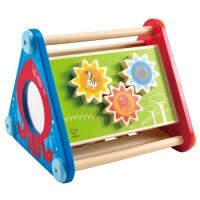 This perfect baby gym will stimulate your little one to develop large motor skills and make her/his own discoveries. Educational Toys Planet's baby gym is a pop-up baby tent that can be assembled instantly. 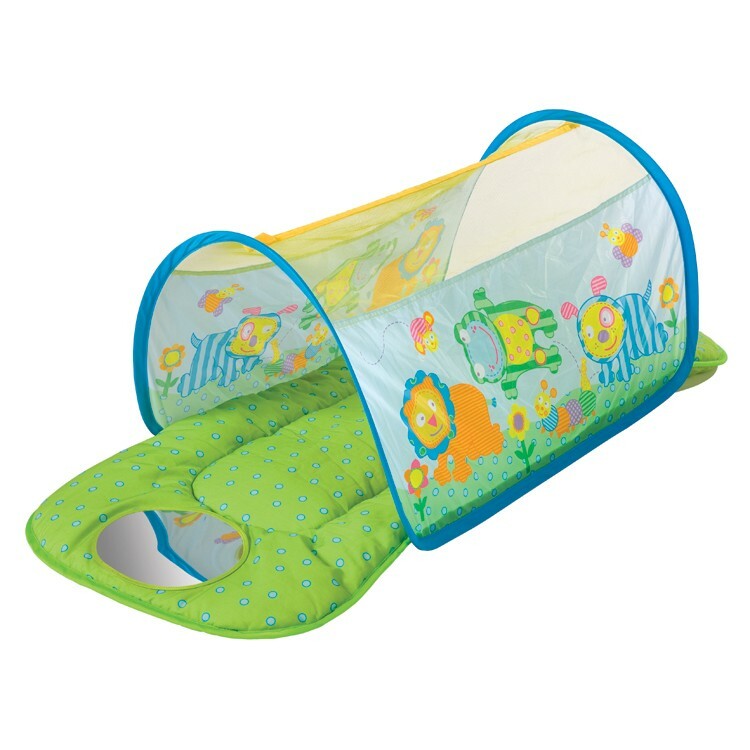 This baby crawling tunnel consists of a detachable vivid soft mat and top netted tunnel. 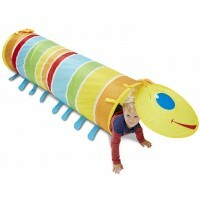 The tunnel is illustrated with the kids friendly animals and bugs. 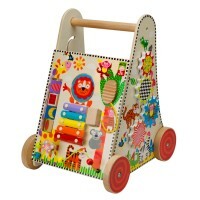 A surprise is awaiting for your little crawler at the end of the tunnel: a baby safe mirror to discover reflection! 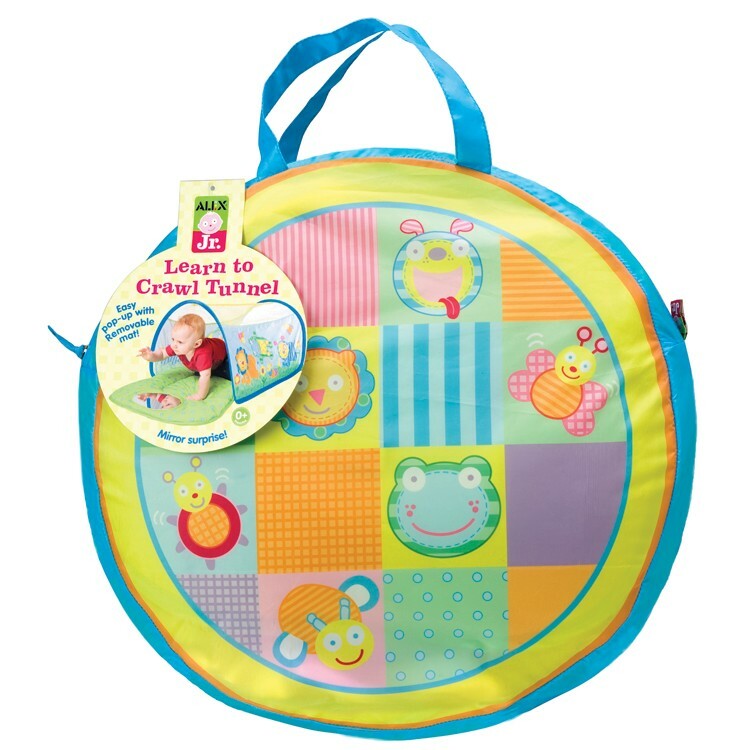 The Learn to Crawl Tunnel Baby Activity Set features easy to clean surface and comes in a cute carrying bag for easy storage and portability. Tunnel measures 30 x 20 inches. Mat measures 48 x 20 inches. 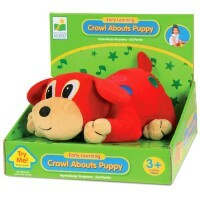 Dimensions of package 3" x 17" x 17"
Write your own review of Learn to Crawl Tunnel Baby Activity Set. Rating: 5 by Kathleen, UT However, when will toy manufacturers realize we want the bright colors to be from baby's perspective, not from the adult's point of view?! 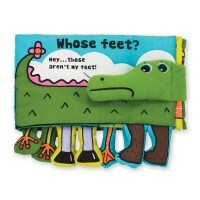 It is difficult to find toys which cater to the child's point of view. The Learn to Crawl Tunnel does a better job than most, but could improve this one point. 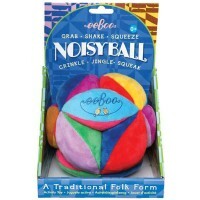 Rating: 5 by Sandra, SC This is a flexible-use toy which I use often in my home daycare. 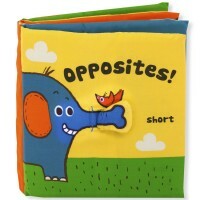 The 4-month baby enjoys trying to touch the designs; it really encourages her motor skill development. 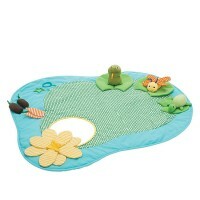 The removable mat does double duty with other toys and is our favorite exercise mat.